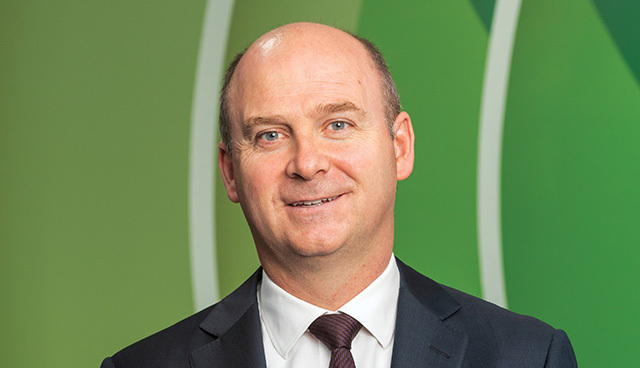 Stephen Wheeler, Managing Director of SSE Ireland, talks to Owen McQuade about the challenge of decarbonising the Irish economy, how Ireland’s offshore wind resources can deliver renewable energy at the scale required, and the changing role of the consumer. It is now 10 years since SSE acquired Airtricity and entered the energy market in Ireland. Reflecting on the company’s first decade here, SSE Ireland Managing Director, Stephen Wheeler, says: “We’re immensely proud of the progress we’ve made in that time.” Since 2008, the business has grown from 200MW of wind farm assets to become the largest developer and operator of renewable energy on the island of Ireland, generating over 735MW at 29 wind farms. The company’s retail business, SSE Airtricity, has also grown dramatically from small beginnings and now provides hundreds of thousands of home and business customers with green electricity, natural gas and energy-efficiency services. SSE’s growth in Ireland has not just had an impact on the energy sector here, but on the wider economy too. Through its spend on onshore wind farms, SSE has directly invested over €2.5 billion in low-carbon and green energy generation on the island of Ireland, supporting 6,000 years of full-time employment. “A lot of this investment came at a time of recession in Ireland, so it was a real sign of the confidence we had in our business here. Now, 10 years later we’re the second largest energy utility, with a team of nearly 1,000 highly-skilled people working across the island,” Wheeler reflects. 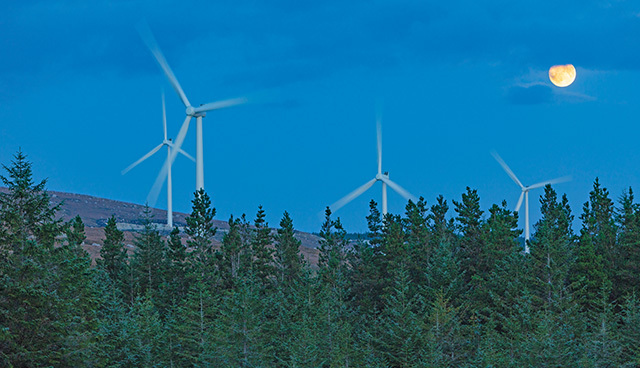 In the last two years alone, the company has brought four new onshore wind farms into operation, including Ireland’s largest, the 174MW Galway Wind Park in Connemara’s Cloosh Valley, which was developed as a joint venture with state forestry company Coillte. He acknowledges that whilst “it’s important to look back, we need to look forward”. He believes that SSE, as Ireland’s largest generator and provider of green energy, is well-positioned to play a leading role in transitioning Ireland to a low-carbon economy, which he describes as “probably the biggest challenge of our generation”. He draws comparison with TK Whitaker and his pursuit of economic ideas that gave new hope for Ireland. In 1958 Whitaker’s Programme for Economic Expansion focused on Ireland’s strength in putting grass before grain in agriculture and looked at markets beyond Ireland. “It was a truly revolutionary approach, and in the same way, we need to embrace new economic ideas that will mark the end of our outmoded dependency on traditional fuel sources and technologies, in pursuit of a new low-carbon, green energy ambition for Ireland,” he says. Illustrating the potential scale of offshore wind, he points to SSE’s Arklow Bank Wind Park project off the coast of County Wicklow, which is currently in the company’s development pipeline and would generate up to 800MW of renewable energy – exceeding the combined output of the company’s existing 29 onshore wind farms on the island. SSE and Coillte’s Galway Wind Park, Ireland’s largest wind farm, in Cloosh Valley, Connemara. A recent report published by KPMG details how offshore wind can assist in Ireland’s transition to a low-carbon economy, and specifically the economic and social opportunity that offshore wind represents. “The development of a thriving offshore wind energy industry presents oceans of opportunity for Ireland, including multi-billion-euro investments in low-carbon generation, the creation of skilled regional jobs and supply-chain development, and the regeneration of local ports around the island,” Wheeler says. He argues that “from an Irish perspective, we have the expertise and the ambition, but we need to have a clear policy in place”. He contrasts the lack of direction for offshore wind here with the situation in Britain, where there is a clear policy to achieve 30GW of offshore wind by 2030 and SSE is a leading developer. 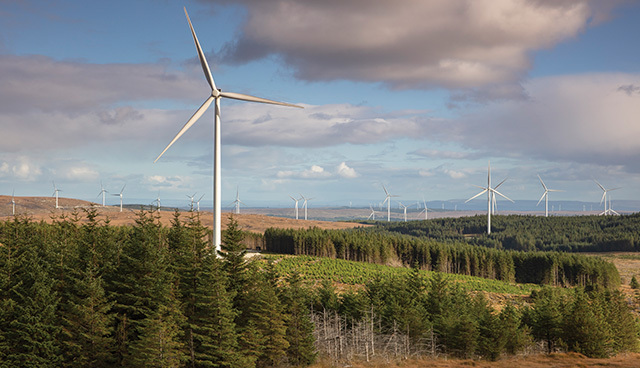 “By articulating this ambition, the UK has set the context for the supply chain to deliver on it.” Whilst SSE has welcomed the Irish Government’s Renewable Electricity Support Scheme (RESS) which sets out targets up to 2030, “the challenge is the size of the auction rounds. They are simply too small in the current form envisaged to send the investment signals that will support offshore wind development. Ultimately it should be about delivering large-scale renewables at the lowest possible cost, and developing Ireland’s vast offshore wind resources will do that”. 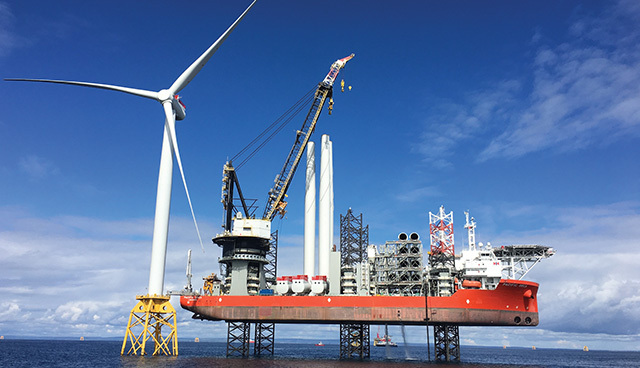 The 588MW Beatrice Offshore Windfarm currently being developed by SSE and partners off the coast of Scotland. Earlier this year the company entered into an agreement to acquire 40 per cent of Activ8 Solar Energies, one of Ireland’s leading suppliers of rooftop solar systems. “We know consumers are beginning to interact with energy in different ways, for instance through the take-up of rooftop solar panels in households, which we’re excited to be involved in through our partnership with Activ8,” Wheeler says.